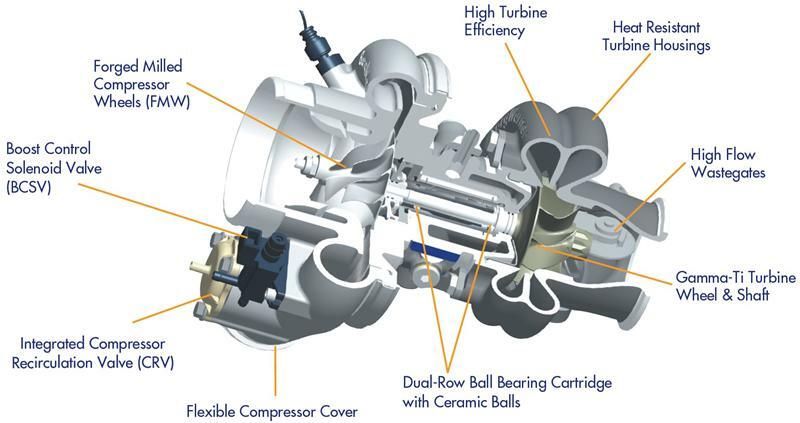 So, you’re probably wondering, “What does a new product line of high-performance turbochargers have to do with commercial applications?” The answer lies in the fact that commercial/industrial turbo products have extreme requirements for durability, reliability, and aerodynamic performance. Since modern passenger car applications use turbos smaller than 55mm in turbine wheel diameter, it’s the aerodynamic development from the commercial side of the business (i.e. everything larger) that feeds into the performance enthusiast’s desire for big power production. 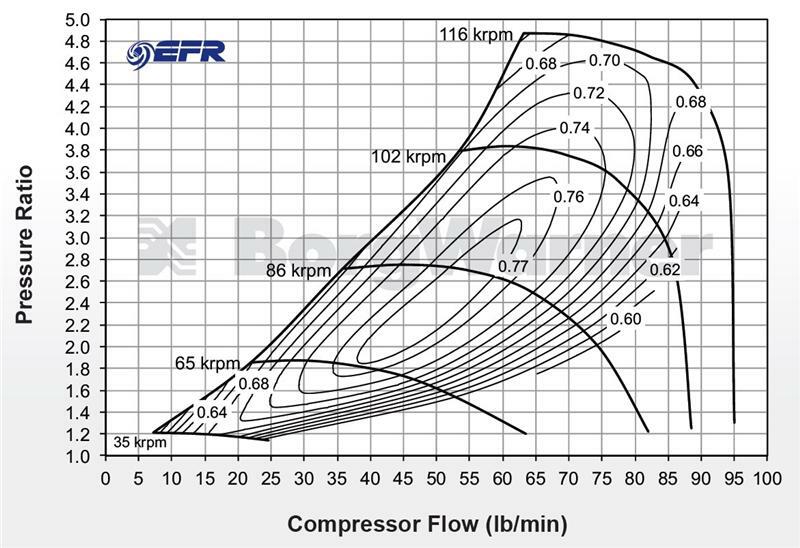 Boost pressures of 45-50 psi (3 bar+) are the norm, not the exception. Also required is resistance to abusive thrust loads, high vibrations, and robustness for a wide range of lubrication conditions. Additionally, our commercial product validation standards are among the highest in the engine boosting industry – all good things that also benefit the performance enthusiast or racer. Those are the commonalities, but there are also differences. Unlike commercial applications, high performance users want lightweight, compact, versatile designs. They also deliver the turbocharger very high exhaust gas temperatures with high expectations for fast response. 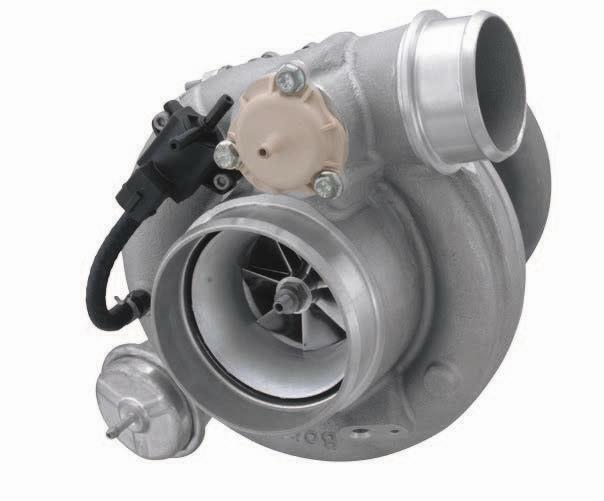 Cosmetic appearance is also valued as are integrated features that aid the installation process and remove the need for other turbo related accessories. Those performance and packaging requirements are quite common among the modern aftermarket passenger car turbo customer. So, what happens when you combine all of those necessities and put them in front of passionate car people looking to advance the pace of aftermarket boosting solutions? You discover that something new is required to meet the demands of the next generation turbo consumer. There is a fierce desire to take engine boosting to the next level. It was this need for big power that led to EFR.